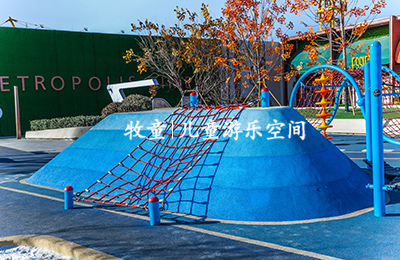 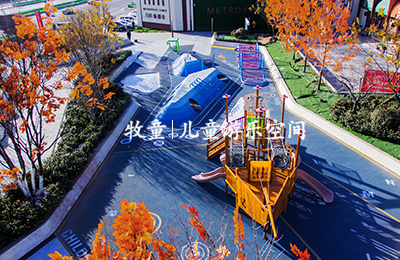 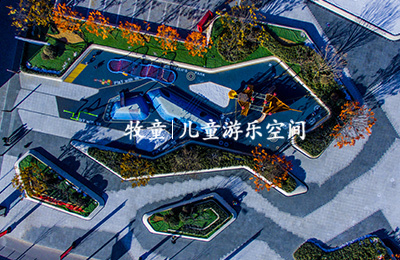 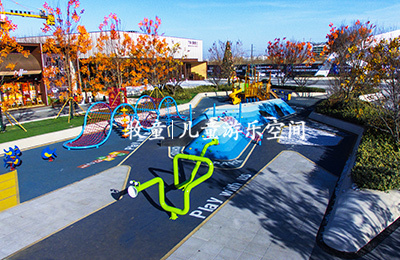 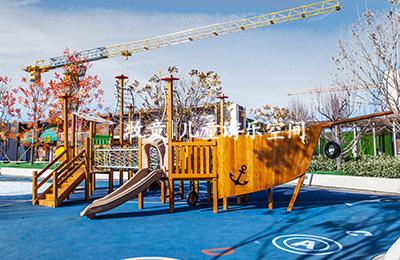 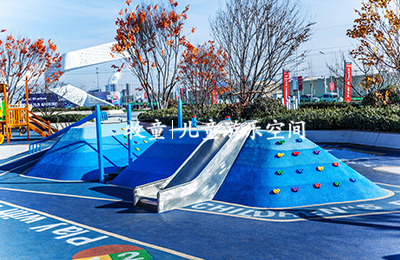 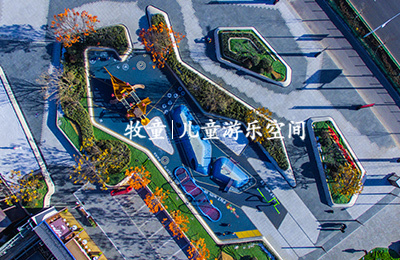 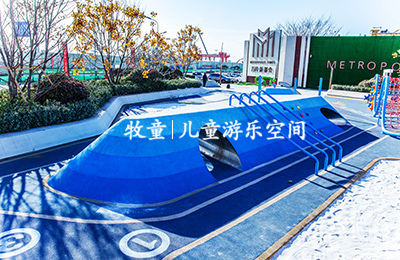 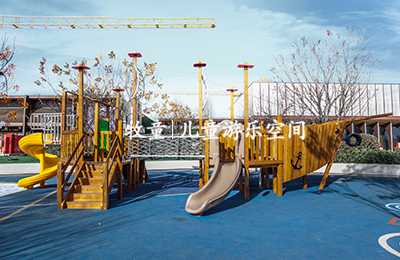 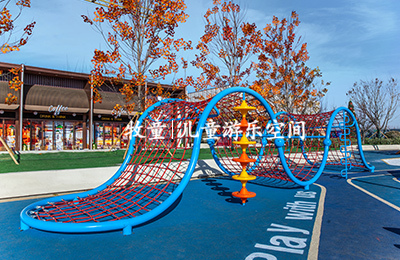 The children's play area is located in the center of the Vanke·Metropolis Times in the residential area and is an embellishment of the livable human environment. 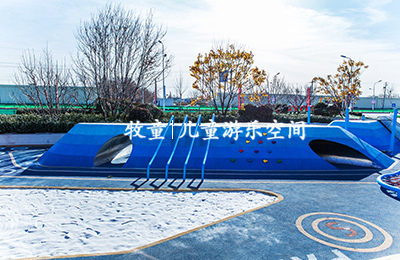 The ground is dark blue, using simple numbers and letters to guide children to play and learn along the route. 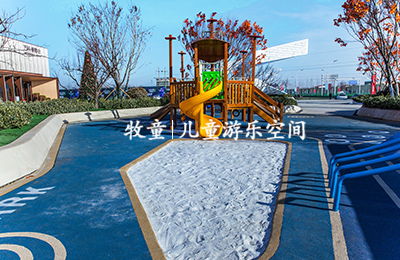 The facilities in the play area are not complicated, but they include children's favorite slides, climbing, drilling holes, sand pools and so on.